When I was in the private sector, around the year 2000, I worked for an information technology (IT) consulting company as a project manager and developer. On one project, I provided support for early mobile devices given to medical students. I worked in a small office around the corner from the cardio-respiratory simulator (CRS). The CRS was a life-sized human dummy that could simulate several conditions including a heart attack, a collapsed lung, and other heart and lung issues. Medical students were brought in to practice diagnosing and treating emergencies while a technician in the separate control room would operate the simulator. It was fun to watch, and I could see that the students learned much from the simulations. Opioid Drug Misuse Prevention – Research funded by the National Institute on Drug Abuse (NIDA) has shown promise in using VR to help patients better manage their pain without drugs. Enhanced Dynamic Geo-Social Environment (EDGE) – Funded by the Department of Homeland Security (DHS) and the U.S. Army Research Laboratory, EDGE is a virtual training platform for first-responders. Available to all response agencies nationwide, it allows responders of all disciplines to assume discipline-based avatars and simultaneously role-play complex response scenarios. Helping Veterans with Post-Traumatic Stress Disorder (PTSD) Improve Job Interviewing Skills – A VR job interviewer, “Molly Porter,” from the Veterans Administration (VA) helps veterans practice good job interviewing skills while learning how to control their PTSD symptoms during the stress of a job interview. 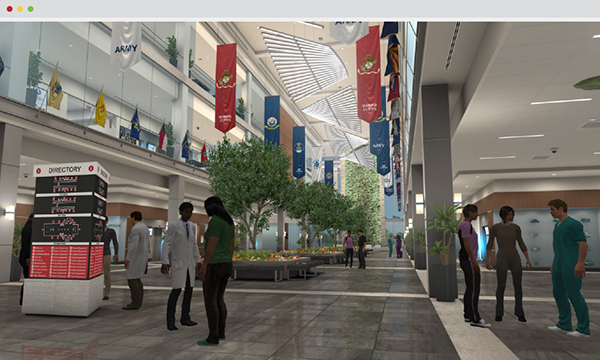 The Veterans Affairs (VA) Virtual Medical Center – This is an immersive three-dimensional virtual world in which veterans and VA staff can attend virtual presentations, conferences, and therapy sessions from anywhere in the world. 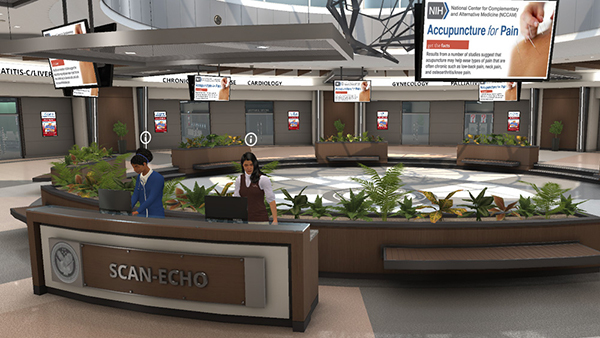 There is also a Virtual Education Training Assistant (VETA) and a Patient Cybrary for patients while VA healthcare professionals have the Healthcare Cybrary. As VR and AR become more mainstream, I have seen increasing usage of VR/AR training applications—like those for food safety in restaurants and factories, and helping patients treat obesity. Many advances are because of government research and support. Several agencies, such as the National Aeronautics and Space Administration (NASA) and the Defense Advanced Research Projects Agency (DARPA), are pioneers in VR and AR applications which have become commercialized. One can only imagine what future VR/AR advances the federal government agencies will create for the American public.